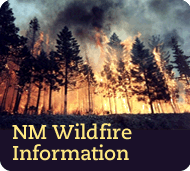 Find information about New Mexico State Forestry projects and forest health issues. The Cimarron Watershed Alliance (CWA) is a non-profit 501(c)3 corporation made up of volunteers from Colfax County, New Mexico. Volunteers include public officials, agency personnel, civic groups, ranchers, business people, and private citizens, all with the common interest of maintaining and improving water quality and quantity within the watershed. Education, innovation, restoration, one acre at a time. Restore New Mexico is an aggressive partnership to restore our state’s grasslands, woodlands and riparian areas to a healthy and productive condition. Since its inception in 2005 Restore has become a model for rangeland conservation in the the western United States.